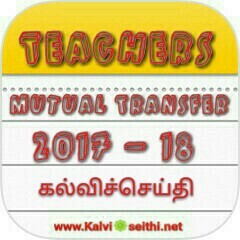 Please reach me for mutual transfer from Tirpur or Coimbatore To Erode. Within district in Social Science (Salem) only Government School. Except Municipal school.9994629946. I can see the first page only. I want to see English page. What can I do. Please anybody help me. When will transfer counselling come? EDDAPADI, METTUR and erode, Dharmapuri Borders.. Contact =8012998093, 8825806318..